Last week, poachers breached fences and evaded armed guards, then fatally poisoned Jose and Liso, skinned them and removed their heads, tails and paws. The pair's refuge was short-lived. Last week, poachers breached fences and evaded armed guards, then fatally poisoned Jose and Liso, skinned them and removed their heads, tails and paws. 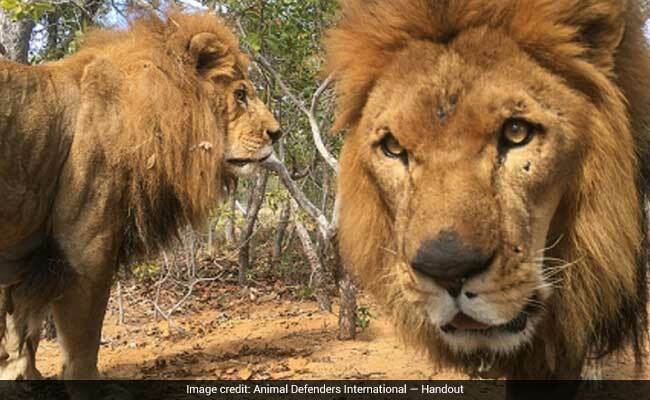 "These two animals, who suffered so much, had the good life snatched away from them," said Tim Phillips, vice president of Animal Defenders International, the group that negotiated the release of all 33 lions and coordinated their flight to South Africa. "It's an absolute tragedy." Philips said the lions had been baited, but there was no indication that they were specifically targeted. He emphasized that, contrary to some reports, a veterinarian's examination indicated that they had died quickly and had not been skinned alive, "which is a small relief in a horrible situation where nothing is good." Jose on the day he was released to Animal Defenders International in 2014. The crime, which is still being investigated by South African authorities, was a shocking end for two animals that had literally come very far in life. Wildlife conservation organizations say it also signals a possible new threat to African lions both captive and wild: an increasing demand in some Asian countries for the animals' bones and other body parts. Poaching of African elephants and rhinoceroses, sometimes in sanctuaries, already has reached crisis proportions. But a sharp drop in the lion population, which has plummeted over the decades to about 20,000 animals, is mostly due to lost habitat, conflicts with humans and trophy hunting, experts say. There has always been some demand in Africa for lion skins and body parts for use in traditional ceremonies and rituals, but it has not been a major driver in the animals' decline, said Luke Hunter, president and chief conservation officer of Panthera, a wild cat conservation organization. Yet amid an illegal trade crackdown in China, where tiger bones are used in "wines" falsely promoted as curative, lion bones "are now being used as proxies," Hunter said. South Africa allows the export of skeletons and body parts of captive-bred lions, and a 2015 report by researchers at Oxford University, the University of Witwatersrand and the wildlife organization TRAFFIC found that skeleton exports rose from about 50 in 2008 to nearly 1,200 between 2009 and 2011, with most going to Asia. South Africa recently announced plans to increase its annual export quota to 800 skeletons. The skeletons are mostly the remains of trophy-hunted lions, so the impact on wild lion populations has been "negligible" to date, the report said. Experts are concerned that is changing, however, and say the bone market is fueling demand for other lion parts. In the past, lion carcasses "weren't particularly valuable or useful," Hunter said. "Now lions are actually becoming a target." 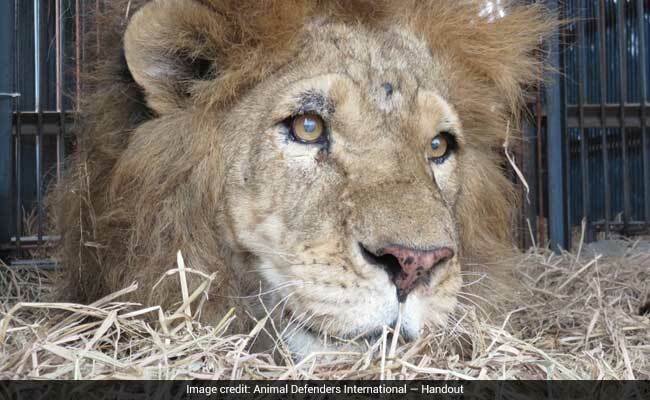 That is disturbing news for a place like Emoya, which was founded in 2012 by a teenager, Savannah Heuser, to be a "semi-wild" sanctuary for former zoo or circus big cats. 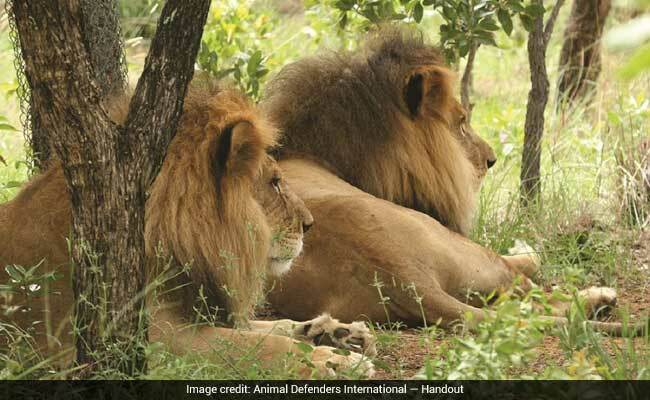 Its population shot up to 42 last year after the arrival of the 33 lions, which constituted what Animal Defenders International (ADI) said was the largest lion airlift ever. "They would charge the bars of their cage so much that they would make their heads bleed," Phillips said. "They were just filled with rage and fury." They calmed after moving to an ADI sanctuary in Peru, where they lived for nearly two years before embarking on an ocean-hopping migration to the continent of their ancestors. Once at Emoya, the pair was placed in a "special needs" enclosure created for Jose, who had vision problems and possible brain damage due to abuse, Phillips said. That enclosure was slightly smaller, contained less brush for Jose to bump into and had lower platforms that were easier for him to reach, Phillips said. Jose "was progressively less able to judge distances. But Liso would guide him around. They always found each other," Phillips said. "It was working very well. Their condition was really, really good. Their manes were luxurious." Even more remarkable was that, as lions go, they'd become quite gentle; biographies on Emoya's website described both as "friendly." Phillips said ADI is now reviewing security measures at the sanctuary and will move the remaining lions if officials decide that is necessary. Jose and Liso arrive at the Emoya Big Cat Sanctuary in 2016. "What's most important for us is that this is for life," Savannah Heuser said when the lions arrived in 2016. "We'll be caring for each of the 33 lions for the rest of their lives - and we get to do this in the natural African habitat of Emoya, the closest they'll ever come to freedom." "The terrible slaughter of wildlife in South Africa and the rest of Africa continues to reach desperate proportions," the young woman said. "Poachers are getting bolder. And every wildlife refuge, sanctuary and park has now become a target."